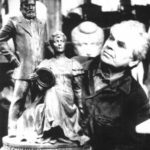 Soviet sculptor Albert Sergeyev (30 April 1926 – December 12, 2003) – member of USSR Union of Artists, Honored Artist of the RSFSR (1975), People’s Artist of the RSFSR (1986), veteran of the Great Patriotic War (1941-1945). Albert Sergeyev was born April 30, 1926 in the village of Levenko of Smolensk province. A few years later the family moved to Vyazma, where he spent his childhood. 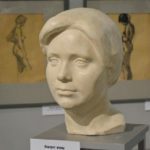 Since the age of eleven worked in the art studio, organized by a talented amateur painter Sergei Vladimirovich Zhuravlev, where he acquired initial skills of drawing, painting and composition. 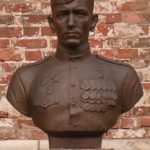 In 1944 he went to the front, fought in the Baltic artillery scout fighter regiment. AG Sergeev never parted with a pencil – at the request of his comrades drew their portraits for their letters to family. After the end of World War II, while still in the army, Sergeev studied in absentia at the All-Union House of Folk Art of Krupskaya. 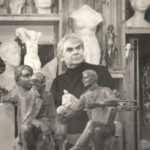 After demobilization in 1950, he entered the sculpture department of art school in Leningrad. In 1961 he graduated from the Institute of Painting, Sculpture and Architecture of Repin, after which he lived and worked in the Smolensk region. 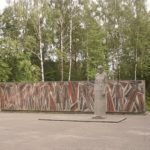 Since 1961 he taught at the newly created graphic arts department of the Smolensk State Pedagogical University of Lenin. For more than forty years of experience in pedagogical university he has trained more than two thousand teachers of the fine arts for school. Among his students were many talented sculptors, members of the Union of Artists. 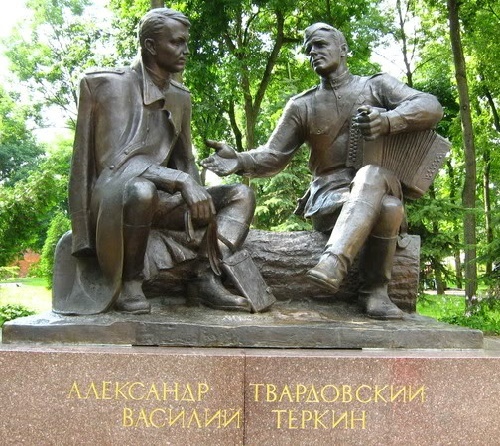 Thanks to AG Sergeev, in Smolensk emerged community of sculptors. 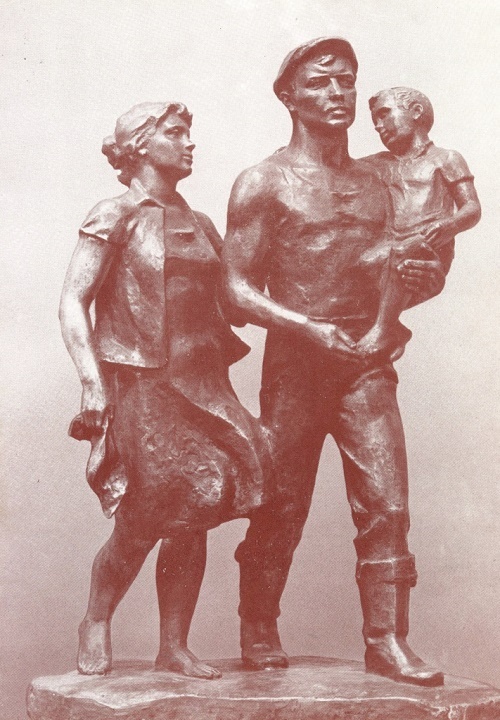 For nearly 25 years, from 1962 to 1986, Soviet sculptor Albert Sergeyev headed the Smolensk organization of the Union of Russian Artists. 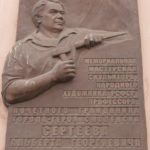 He was elected member of the district and city Soviets, a delegate to the congress of the Union of Artists of the USSR. 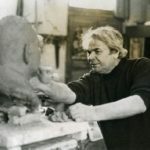 The sculptor passed away 12.12.2003 in Smolensk. Albert Sergeyev was married, had two daughters. 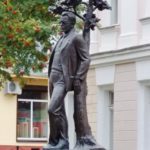 The real memory of the sculptor has become his works performed for forty years of fruitful activity in the city of Smolensk. 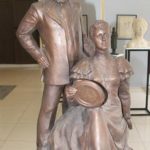 It took Albert Sergeyev two years to create the sculpture “Grieving Mother”. 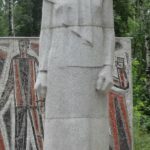 This monument was erected in 1965 on the site of the graves of Smolensk underground fighters, executed by the Germans in 1942-1943.